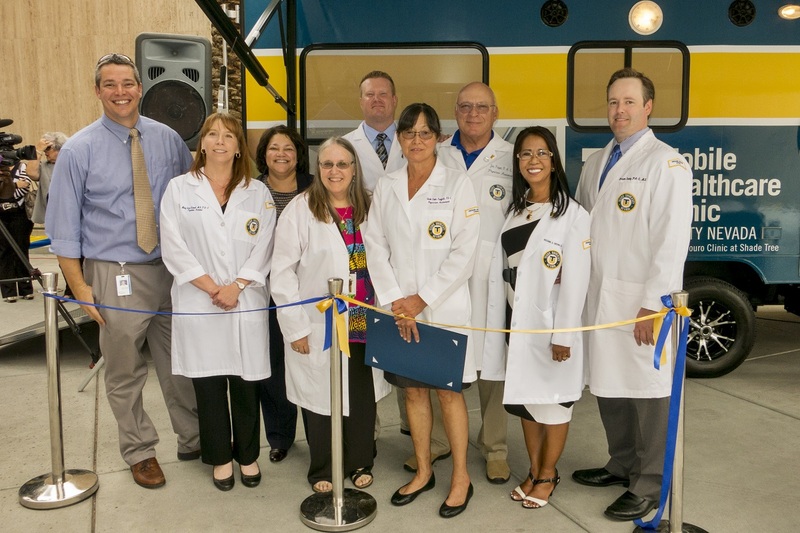 Touro University Nevada School of Physician Assistant Studies launched a mobile clinic as an outreach to the homeless in our area. Vicki is the prime mover behind this project; it has been a dream of hers for years. We finally got some local funding to make it happen! One day a week, I will be taking it to the Veterans' Village, our local homeless veterans facility. Here are some pictures of the launch. The students are everywhere! 2019 Veterans Caucus Scholarship application cycle has now closed. Copyright © 2019 Veterans Caucus, Inc. All right reserved.